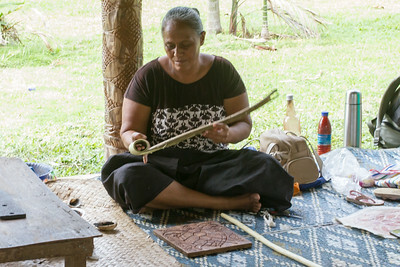 Traditional Samoan craftsmanship include body art of tatau (tattoing), siapo (local tapa), carving, boat and fale building, weaving (baskets, bags, fine mats- from pandanus fibres), etc. 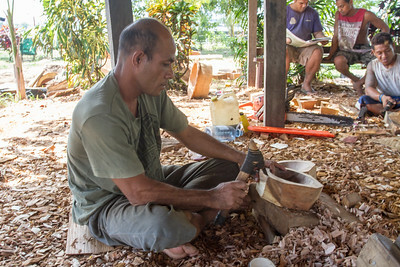 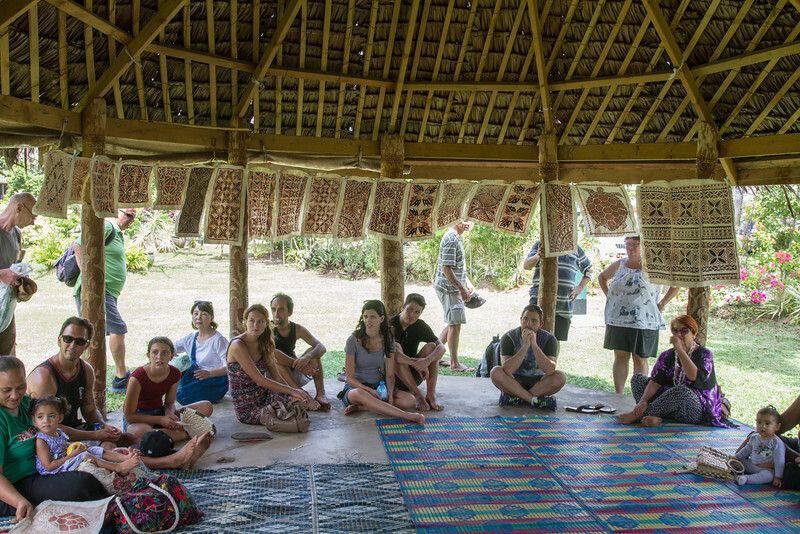 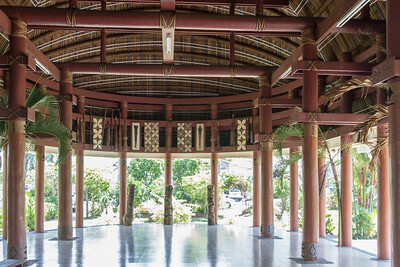 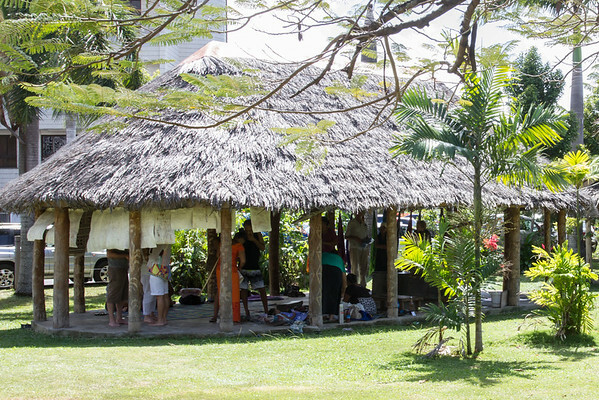 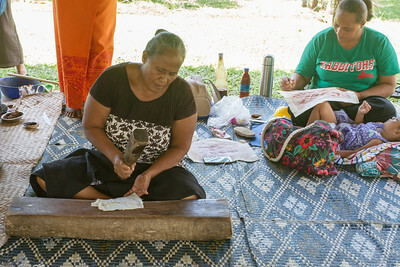 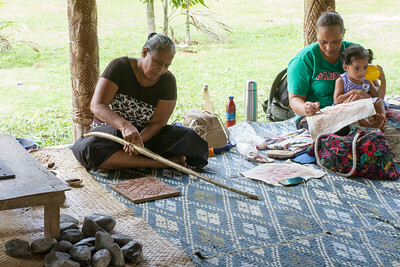 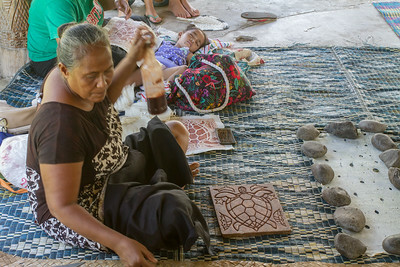 Their traditional crafts are at heart of cultural tourism and most accessible for the visitors at Samoa Cultural Centre. 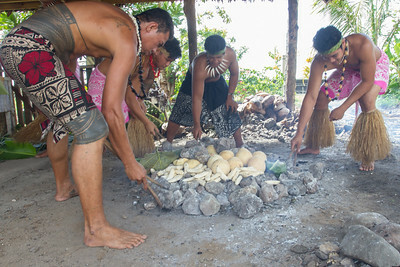 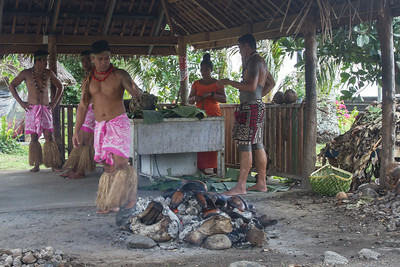 Here you can also try traditional food baked in umu – earth oven. 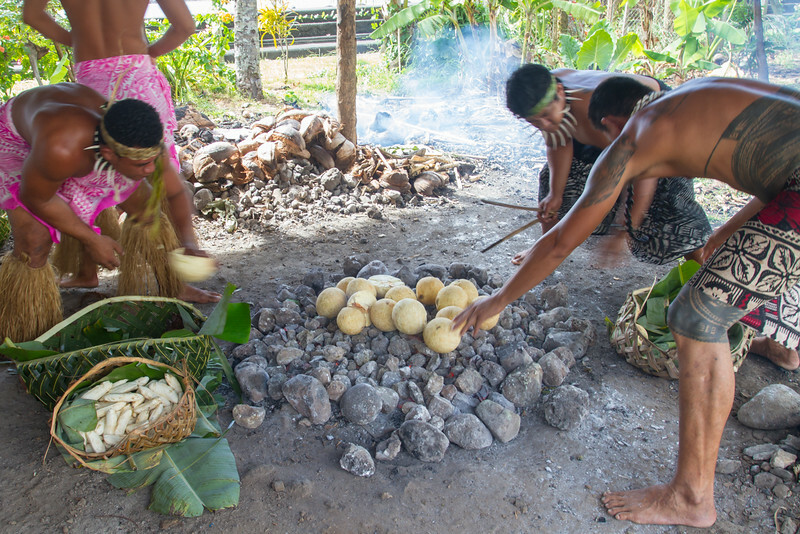 Umu – traditional cooking in ground oven. 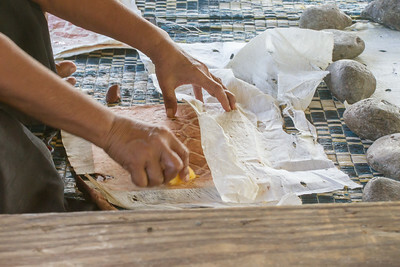 It is convenient for cooking of large quantities of food and is widely used in villages for Sunday’s meal. 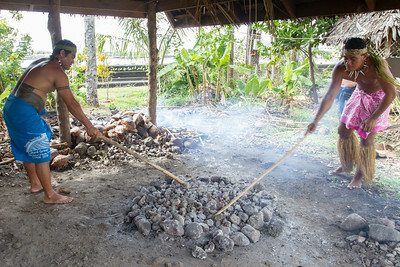 Umu starts with fire to heat rocks. 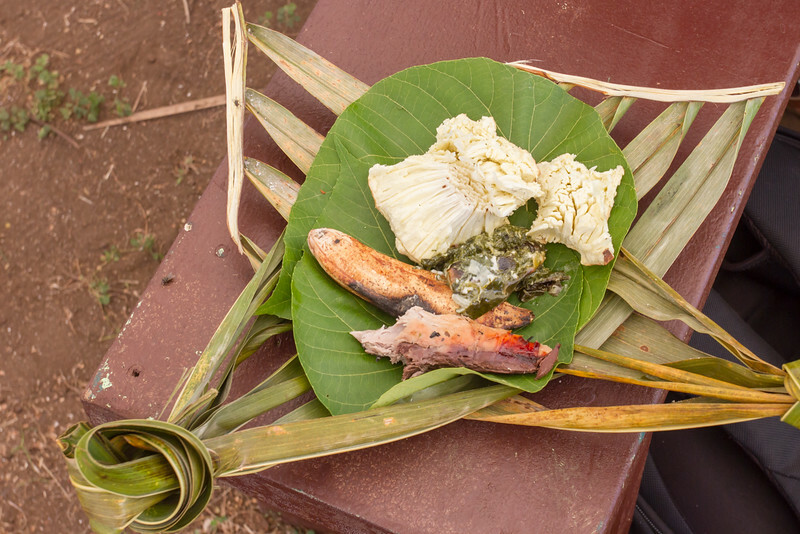 When rocks are hot enough – layers of food (fish, meat, breadfruit, taro, bananas, etc.) 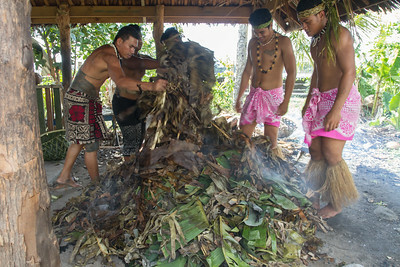 are placed on them and then covered by banana leaves. 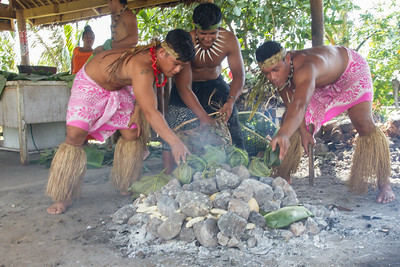 Food then is left to cook for few hours until it is ready. 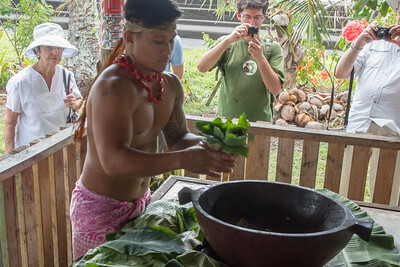 My favorite dish – palusami - baked taro leaves, tightly wrapped with coconut milk in it. 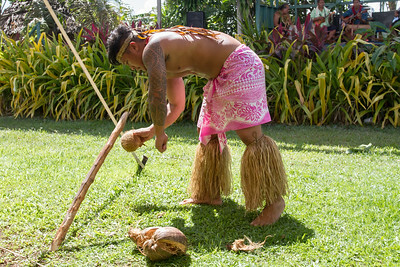 It is the product of “tree of life” – coconut tree. 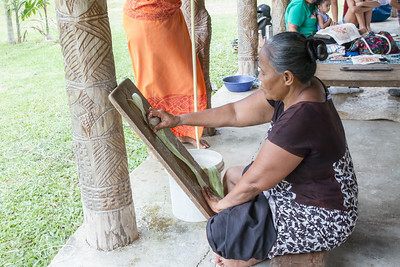 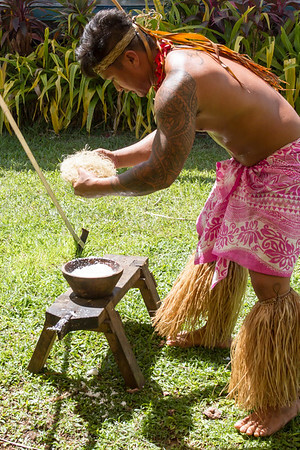 Freshly produced coconut milk is widely used in local cuisine and give it special flavor- like in oka, lightly marinated raw fish (usually – tuna fish), served with milk. 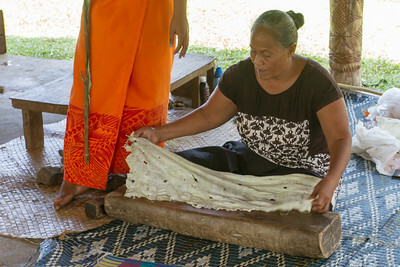 Tapa is cloth made from the bark of the paper mulberry. 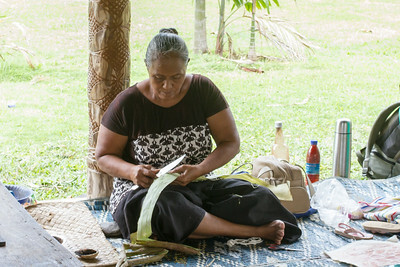 It is labor intensive to fabricate, but especially nice as women dress and is used nowadays on formal occasions. 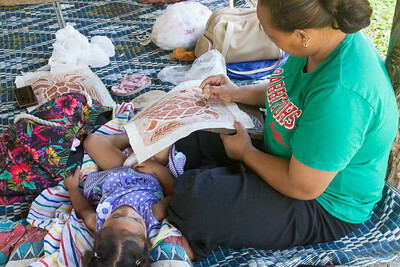 Small piece of tapa, printed with traditional pattern – one of the best visitor’s reminder of Samoa. 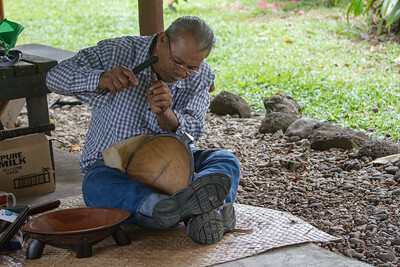 It is well- respected art form and visitors can witness demonstration of fine examples of ornamental bowls, made from hard wood. 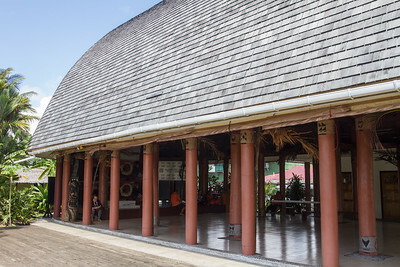 Fale is traditional Samoan house, usually circular or oval in shape. 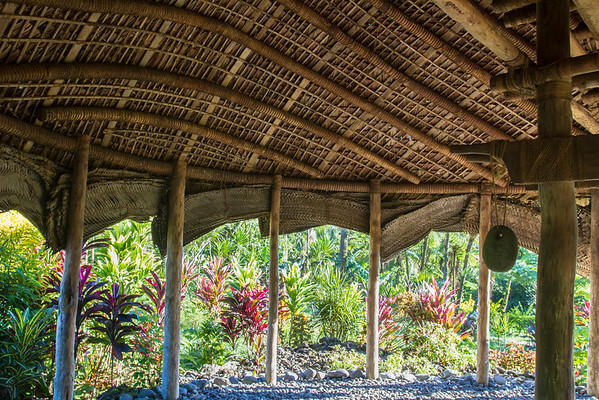 There are no walls. 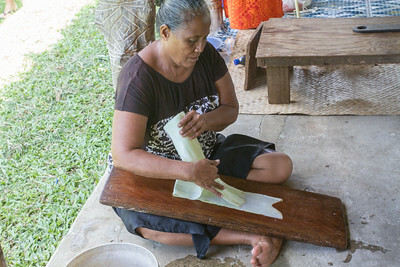 When weather getting windy or rainy - removable coconut leaf blinds are used. 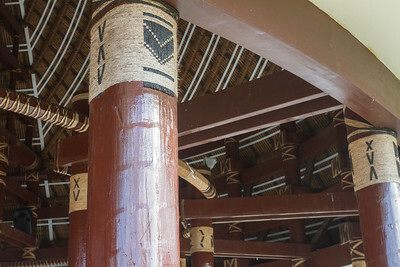 All beams and posts are lashed by sennit - strong and versatile cord made from the husk fibres of coconut tree. 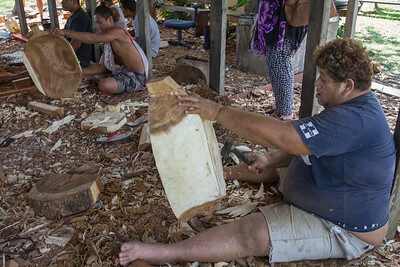 No nails are used.